If you've always dreamt of a beautiful garden but your home only has a small concrete yard, you might think that there's not too much you can do with it. Many terraced houses have a similar problem, and it can be frustrating when you've found your dream home to realise that it doesn't come with a dream garden. But don't write it off as unusable space, with a bit of planning your concrete yard can become a beautiful little sanctuary. The first step to making your little yard look nicer is to address the flooring. You could opt to have paving slabs put down which would make everything look neat and tidy, use rapid setting mortar to save time and hassle. You could have a small raised deck area that's big enough for a table and chairs. For a low cost alternative, you could go for something like pea gravel or slate chippings. Repainting any tired looking walls or fences will bring them back up to scratch and make the area look much nicer. If the brickwork isn't looking it's best, you could consider getting it re-pointed first. If you were looking to conceal your walls and make everything look more natural, you could go with something like bamboo screening. The main reason for decorating your yard and making it look it's best is so you have an extra usable space and so you can sit outside. And so adding some seating is essential. Be sure to measure everything before purchasing as you don't want something that's going to take all of the space. Making sure you have room for things like a barbeque or a chiminea allows you to use your little yard in the same way you would any other garden. Picnic style benches are a good choice, as you don't need to account for the space needed to pull the chairs out. You could go with a separate table and chairs, or opt for something like a garden swing seat instead depending on how you use the space. 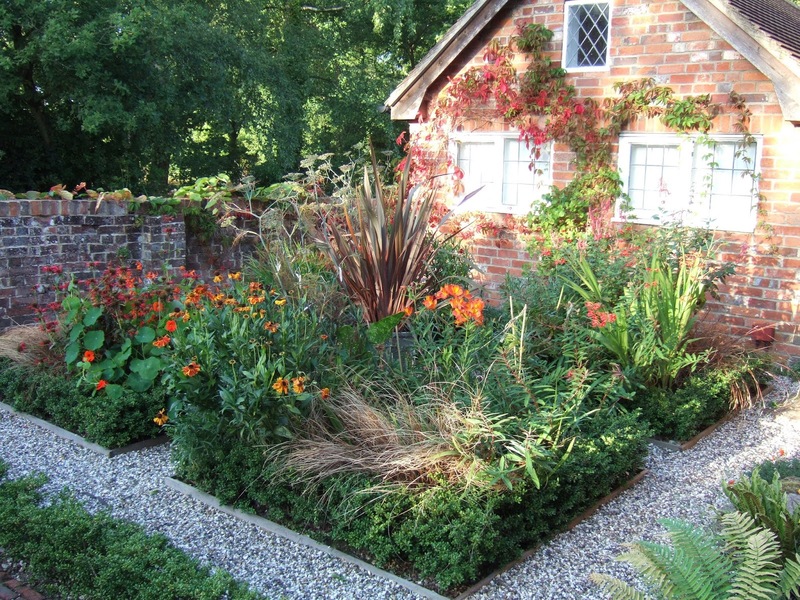 Plants are what will really bring colour and interest to a small, bland yard area. You could break up an area of the concrete and plant a small, ornamental tree before fitting your floor covering. Alternatively you could remove a thin strip of the concrete flooring along one edge and turn this into a flower bed. A jack hammer or concrete cutter will break through the concrete for you, you can hire these from places like DIY shops if you weren't looking to buy them. You could then use pots and planters for the rest. Utlilise wall space by hanging wall mounted planters, as well as things like window boxes. Hanging a trellis on a wall and encouraging some climbing plants to grow up it is a good way to bring extra greenery in. As well as pretty flowers, choose evergreen plants too. That way your garden will still look alive even throughout the autumn and winter. Aside from plants, another way to brighten up a dull yard with colour is with furniture and accessories. For example you could buy an outdoor rug, or add bright outdoor cushions to your seating area. You could even opt for brightly coloured furniture, you could paint or spray this yourself if you can't find what you're after. Finally, good lighting means you can use your garden in the evening. You could sit outside and have a glass of wine on a warm summers night, or have friends around for a party. A main light source such as a floodlight is a good idea, do your research and choose one that won't be too bright for a small space. You could then use things like strings of solar fairy lights and other solar lights to decorate and liven up the space.